During the age of dictatorships, Latin American prisons became a symbol for the vanquishing of political opponents, many of whom were never seen again. In the postdictatorship era of the 1990s, a number of these prisons were repurposed into shopping malls, museums, and memorials. Susana Draper uses the phenomenon of the “opening” of prisons and detention centers to begin a dialog on conceptualizations of democracy and freedom in post-dictatorship Latin America. Focusing on the Southern Cone nations of Uruguay, Chile, and Argentina, Draper examines key works in architecture, film, and literature to peel away the veiled continuity of dictatorial power structures in ensuing consumer cultures. The afterlife of prisons became an important tool in the “forgetting” of past politics, while also serving as a reminder to citizens of the liberties they now enjoyed. In Draper’s analysis, these symbols led the populace to believe they had attained freedom, although they had only witnessed the veneer of democracy—in the ability to vote and consume. In selected literary works by Roberto Bolaño, Eleuterio Fernández Huidoboro, and Diamela Eltit and films by Alejandro Agresti and Marco Bechis, Draper finds further evidence of the emptiness and melancholy of underachieved goals in the afterlife of dictatorships. The social changes that did not occur, the inability to effectively mourn the losses of a now-hidden past, the homogenizing effects of market economies, and a yearning for the promises of true freedom are thematic currents underlying much of these texts. Draper’s study of the manipulation of culture and consumerism under the guise of democracy will have powerful implications not only for Latin Americanists but also for those studying neoliberal transformations globally. In The Appearances of Memory, the Indonesian architectural and urban historian Abidin Kusno explores the connections between the built environment and political consciousness in Indonesia during the colonial and postcolonial eras. Focusing primarily on Jakarta, he describes how perceptions of the past, anxieties about the rapid pace of change in the present, and hopes for the future have been embodied in architecture and urban space at different historical moments. He argues that the built environment serves as a reminder of the practices of the past and an instantiation of the desire to remake oneself within, as well as beyond, one’s particular time and place. Addressing developments in Indonesia since the fall of President Suharto’s regime in 1998, Kusno delves into such topics as the domestication of traumatic violence and the restoration of order in the urban space, the intense interest in urban history in contemporary Indonesia, and the implications of “superblocks,” large urban complexes consisting of residences, offices, shops, and entertainment venues. Moving farther back in time, he examines how Indonesian architects reinvented colonial architectural styles to challenge the political culture of the state, how colonial structures such as railway and commercial buildings created a new, politically charged cognitive map of cities in Java in the early twentieth century, and how the Dutch, in attempting to quell dissent, imposed a distinctive urban visual order in the 1930s. Finally, the present and the past meet in his long-term considerations of how Java has responded to the global flow of Islamic architecture, and how the meanings of Indonesian gatehouses have changed and persisted over time. The Appearances of Memory is a pioneering look at the roles of architecture and urban development in Indonesia’s ongoing efforts to move forward. The American suburban dream house-a single-family, detached dwelling, frequently clustered in tight rows and cul-de-sacs-has been attacked for some time as homogeneous and barren, yet the suburbs are home to half of the American population. Architectural historian John Archer suggests the endurance of the ideal house is deeply rooted in the notions of privacy, property, and selfhood that were introduced in late seventeenth-century England and became the foundation of the American nation and identity. Spanning four centuries, Architecture and Suburbia explores phenomena ranging from household furnishings and routines to the proliferation of the dream house in parallel with Cold War politics. Beginning with John Locke, whose Enlightenment philosophy imagined individuals capable of self-fulfillment, Archer examines the eighteenth-century British bourgeois villa and the earliest London suburbs. 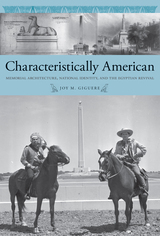 He recounts how early American homeowners used houses to establish social status and how twentieth-century Americans continued to flock to single-family houses in the suburbs, encouraged by patriotism, fueled by consumerism, and resisting disdain by disaffected youths, designers, and intellectuals. Finally, he recognizes “hybridized” or increasingly diverse American suburbs as the dynamic basis for a strengthened social fabric. From Enlightenment philosophy to rap lyrics, from the rise of a mercantile economy to discussions over neighborhoods, sprawl, and gated communities, Archer addresses the past, present, and future of the American dream house. John Archer is professor of cultural studies and comparative literature at the University of Minnesota. His book The Literature of British Domestic Architecture, 1715-1842, is the standard reference on the subject, and he also contributed to the Encyclopedia of Urban America and the Encyclopedia of Twentieth-Century Architecture. Leon Krier is one of the best-known—and most provocative—architects and urban theoreticians in the world. Until now, however, his ideas have circulated mostly among a professional audience of architects, city planners, and academics. In The Architecture of Community, Krier has reconsidered and expanded writing from his 1998 book Architecture: Choice or Fate. Here he refines and updates his thinking on the making of sustainable, humane, and attractive villages, towns, and cities. The book includes drawings, diagrams, and photographs of his built works, which have not been widely seen until now. With three new chapters, The Architecture of Community provides a contemporary road map for designing or completing today’s fragmented communities. Illustrated throughout with Krier’s original drawings, The Architecture of Community explains his theories on classical and vernacular urbanism and architecture, while providing practical design guidelines for creating livable towns. The book contains descriptions and images of the author’s built and unbuilt projects, including the Krier House and Tower in Seaside, Florida, as well as the town of Poundbury in England. Commissioned by the Prince of Wales in 1988, Krier’s design for Poundbury in Dorset has become a reference model for ecological planning and building that can meet contemporary needs. 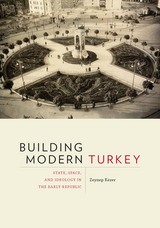 Building Modern Turkey offers a critical account of how the built environment mediated Turkey’s transition from a pluralistic (multiethnic and multireligious) empire into a modern, homogenized nation-state following the collapse of the Ottoman Empire at the end of World War I. Zeynep Kezer argues that the deliberate dismantling of ethnic and religious enclaves and the spatial practices that ensued were as integral to conjuring up a sense of national unity and facilitating the operations of a modern nation-state as were the creation of a new capital, Ankara, and other sites and services that embodied a new modern way of life. The book breaks new ground by examining both the creative and destructive forces at play in the making of modern Turkey and by addressing the overwhelming frictions during this profound transformation and their long-term consequences. By considering spatial transformations at different scales—from the experience of the individual self in space to that of international geopolitical disputes—Kezer also illuminates the concrete and performative dimensions of fortifying a political ideology, one that instills in the population a sense of membership in and allegiance to the nation above all competing loyalties and ensures its longevity. Prior to the nineteenth century, few Americans knew anything more of Egyptian culture than what could be gained from studying the biblical Exodus. Napoleon’s invasion of Egypt at the end of the eighteenth century, however, initiated a cultural breakthrough for Americans as representations of Egyptian culture flooded western museums and publications, sparking a growing interest in all things Egyptian that was coined Egyptomania. As Egyptomania swept over the West, a relatively young America began assimilating Egyptian culture into its own national identity, creating a hybrid national heritage that would vastly affect the memorial landscape of the nineteenth and twentieth centuries. and the American Civil War halted construction until 1877. Interestingly, Americans saw the completion of the Washington Monument after the Civil War as a mending of the nation itself, melding Egyptian commemoration with the reconstruction of America. rights movement, and even as recently as the 9/11 remembrances. Giguere places the Egyptian style in a historical context that demonstrates how Americans actively sought to forge a national identity reminiscent of Egyptian culture that has endured to the present day. Joy M. Giguere is an assistant professor of history at Penn State, York. 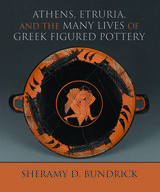 She completed this book while working as an assistant professor at Ivy Tech Community College in Fort Wayne, Indiana. Her articles have appeared in the Journal of the Civil War Era and Markers: The Annual Journal of the Association for Gravestone Studies. Chatham Village, located in the heart of Pittsburgh, is an urban oasis that combines Georgian colonial revival architecture with generous greenspaces, recreation facilities, surrounding woodlands, and many other elements that make living there a unique experience. Founded in 1932, it has gained international recognition as an outstanding example of the American Garden City planning movement and was named a National Historic Landmark in 2005. Chatham Village was the brainchild of Charles F. Lewis, then director of the Buhl Foundation, a Pittsburgh-based charitable trust. Lewis sought an alternative to the substandard housing that plagued low-income families in the city. He hired the New York–based team of Clarence S. Stein and Henry Wright, followers of Ebenezer Howard’s utopian Garden City movement, which sought to combine the best of urban and suburban living environments by connecting individuals to each other and to nature. 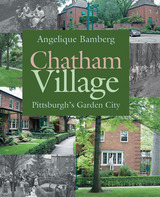 Angelique Bamberg provides the first book-length study of Chatham Village, in which she establishes its historical significance to urban planning and reveals the complex development process, social significance, and breakthrough construction and landscaping techniques that shaped this idyllic community. She also relates the design of Chatham Village to the work of other pioneers in urban planning, including Frederick Law Olmsted Sr., landscape architect John Nolen, and the Regional Planning Association of America, and considers the different ways that Chatham Village and the later New Urbanist movement address a common set of issues. Above all, Bamberg finds that Chatham Village’s continued viability and vibrance confirms its distinction as a model for planned housing and urban-based community living. When you think of modern architecture, you think of Chicago, the birthplace of the skyscraper, the cradle of twentieth-century American design, and the home of enduring works by such iconic figures as Louis Sullivan, Ludwig Mies van der Rohe, and Frank Lloyd Wright. Idealized through tourism and celebrated in the groves of academe, the city's majestic skyline and landmark buildings remain a living testament to the modern movement. In Chicago Architecture, Charles Waldheim and Katerina Ruedi Ray revise and offer alternatives to the archetypal story of modern architecture in Chicago. They and an esteemed group of contributors assert that the mythic status of Chicago architecture has distorted our understanding of the historical circumstances in which it was realized. This searching volume illuminates the importance of photographs, books, magazines, and other media in the cultivation of an international audience for Chicago architecture; it explores the pivotal role of real estate developers, finance and insurance sectors, and speculative capital markets in the development of the city itself; and, perhaps most notably, it examines a wide variety of overlooked architectural works and their creators—individuals who did not fit into the dominant modernist narrative. Offering new insights on Chicago public housing and O'Hare International Airport, on the Columbian Exposition and Marina City, on the city's grid system and the place of women architects in the story of Chicago modernism, and on the subjective experience of living inside Chicago's most well-known buildings, Chicago Architecture is a work of enormous scope and vision—a book as heady and towering as the skyline it considers. We are witnessing an explosion of universities and campuses nationwide, and urban schools play an important role in shaping the cities outside their walls. In The City as Campus, Sharon Haar uses Chicago as a case study to examine how universities interact with their urban contexts, demonstrating how higher education became integrated with ideas of urban growth as schools evolved alongside the city. The City as Campus shows the strain of this integration, detailing historical accounts of battles over space as campus designers faced the challenge of weaving the social, spatial, and architectural conditions of the urban milieu into new forms to meet the changing needs of academia. Through a close analysis of the history of higher education in Chicago, The City as Campus explores how the university's missions of service, teaching, and research have metamorphosed over time, particularly in response to the unique opportunities-and restraints-the city provides. Illustrating how Chicago serves as a site of pedagogical transformation and a location for the larger purpose of the academic community, The City as Campus presents a social and design history of the urban campus as an architectural idea and form. More than ever, architectural design is seen as a means to promote commercial goals rather than as an end in itself. Frank Gehry’s Guggenheim Museum in Bilbao, for example, simply cannot be considered apart from its intended role as a catalyst for the economic revitalization of Bilbao and its ability to attract tourist dollars, regardless of its architectural merits. A built environment intended to seduce consumers is more likely to offer instant gratification than to invite independent thought and reflection. But how harmful, if at all, is this unprecedented commercialization of architecture? Framed with a provocative introduction by Kenneth Frampton, the contributions to Commodification and Spectacle in Architecture stake out a variety of positions in the debate over the extent to which it is possible—or desirable—to escape from, resist, or suggest plausible alternatives to the dominant culture of consumer capitalism. Rejecting any dreamy nostalgia for an idealized present or past in which design is completely divorced from commerce—and, in some cases, celebrating the pleasures of spectacle—the individual essays range from indictments of particular architects and critiques of the profession to broader concerns about what the phenomenon of commodification means for the practice of democracy and the health of society. Bringing together an impressive and varied group of critics and practitioners, Commodification and Spectacle in Architecture will help to sharpen the discussion of how design can respond to our hypercommodified culture. Contributors: Michael Benedikt, Luis Fernández-Galiano, Thomas Frank, Kevin Ervin Kelley, Daniel Naegele, Rick Poynor, Michael Sorkin, Wouter Vanstiphout. William S. Saunders is editor of Harvard Design Magazine and assistant dean for external relations at the Harvard Design School. He is the author of Modern Architecture: Photographs by Ezra Stoller. Kenneth Frampton is Ware Professor of Architecture at Columbia University Graduate School of Architecture, Planning, and Preservation and author of many books, including Labour, Work, and Architecture. 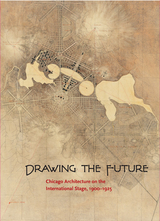 Drawing the Future: Chicago Architecture on the International Stage, 1900–1925 is an illustrated catalog with companion essays for an exhibition of the same name at the Mary and Leigh Block Museum of Art at Northwestern University. Drawing the Future explores the creative ferment among Chicago architects in the early twentieth century, coinciding with similar visions around the world. The essays focus on the highlights of the exhibition. David Van Zanten profiles Walter Burley Griffin and Marion Mahony Griffin, Chicago architects who created an influential, prize-winning plan for Canberra, the new capital of Australia. Ashley Dunn looks at the two exhibits at the Musée des Arts Décoratifs in Paris, one devoted to the Griffins in 1914 and the other to the French architect Tony Garnier in 1925, demonstrating the impact of World War I on city planning and architecture. Leslie Coburn examines Chicago’s Neighborhood Center Competition of 1914–15, which sought to redress gaps in Daniel Burnham’s plan of 1909. The ambition and reach of Chicago architecture in this epoch would have lasting influence on cities of the future. Familiar landmarks in hundreds of American towns, Carnegie libraries today seem far from controversial. 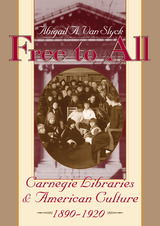 In Free to All, however, Abigail A. Van Slyck shows that the classical façades and symmetrical plans of these buildings often mask a complex and contentious history. "This is a book about the making of cities and the buildings that compose them. It is about the conditions under which an architect engaged in those activities now works, how those conditions evolved and why they are changing. It is about the qualities of life that are threatened by the ways cities are built at the beginning of the 21st century and intelligent response to those threats. It is about why the city planning ideas and the cultural cuisinart that came in the box with modern architecture are a lingering menace." -- from Global City Blue. Much of the architecture and town planning of the past fifty years has been based on an unsubstantiated optimism about the promise of modernity. In our rush to embrace the future, we invented new ways of building that rejected the past and sent people headlong into a placeless limbo where they are insulated from each other and cut off from such basic experiences of location as the weather and the time of day. Despite calamitous results, many architects and planners remain enamored of the modernist ideals that underlie these changes. In Global City Blues, renowned architect Daniel Solomon presents a perceptive overview and an insightful assessment of how the power and seductiveness of modernist ideals led us astray. 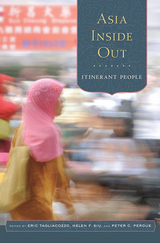 Through a series of independent but linked essays, he takes the reader on a personal picaresque, introducing us to people, places, and ideas that have shaped thinking about planning and building and that laid the foundation for his beliefs about the world we live in and the kind of world we should be making. As an alternative, Daniel Solomon discusses the ideas and precepts of New Urbanism, a reform movement he helped found that has risen to prominence in the past decade. New Urbanism offers a vital counterbalance to the forces of sprawl, urban disintegration, and placelessness that have so transformed the contemporary landscape. Global City Blues is a fresh and original look at what the history of urban form can teach us about creating built environments that work for people. High Country Summers considers the emergence of the “summer home” in Colorado’s Rocky Mountains as both an architectural and a cultural phenomenon. It offers a welcome new perspective on an often-overlooked dwelling and lifestyle. Writing with affection and insight, Melanie Shellenbarger shows that Colorado’s early summer homes were not only enjoyed by the privileged and wealthy but crossed boundaries of class, race, and gender. They offered their inhabitants recreational and leisure experiences as well as opportunities for individual re-invention—and they helped shape both the cultural landscapes of the American West and our ideas about it. Shellenbarger focuses on four areas along the Front Range: Rocky Mountain National Park and its easterly gateway town, Estes Park; “recreation residences” in lands managed by the US Forest Service; Lincoln Hills, one of only a few African-American summer home resorts in the United States; and the foothills west of Denver that drew Front Range urbanites, including Denver’s social elite. From cottages to manor houses, the summer dwellings she examines were home to governors and government clerks; extended families and single women; business magnates and Methodist ministers; African-American building contractors and innkeepers; shop owners and tradespeople. By returning annually, Shellenbarger shows, they created communities characterized by distinctive forms of kinship. High Country Summers goes beyond history and architecture to examine the importance of these early summer homes as meaningful sanctuaries in the lives of their owners and residents. These homes, which embody both the dwelling (the house itself) and dwelling (the act of summering there), resonate across time and place, harkening back to ancient villas and forward to the present day. The historic architecture and settlements of the Zuni Indian Tribe in western New Mexico provide an unusual opportunity to investigate social change. In this monograph, the development of historic Zuni society is analyzed by delineating systematic links between the structure of Zuni society and the structure of architectural forms that the Zuni people built to facilitate their activities. 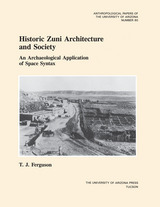 Ferguson shows how the structure of open space within Zuni settlements was linked to defense. As long as the Zunis were subject to attack by Spaniards or Navajos, they built settlements that were difficult for outsiders to get into or move around in. As the need for defense waned, settlements became more open and accessible. He also shows how the internal spaces of traditional Zuni houses are oriented around the activities of the women--matriarchs of their families and clans. Federal housing projects tended to spatially isolate the activities of women from interaction with the rest of the household, thus instituting unexpected social change. Historic Zuni Architecture and Society utilizes an interdisciplinary approach, analyzing archaeological data using method, theory, and techniques from the fields of architecture, planning, and ethnology. Archaeologists will find in the book an innovative application of space syntax to archaeological problems, and cultural anthropologists and others interested in the history of the Zuni Indians will value its observations about changes that are currently taking place in Zuni social organization. Hollow and Home explores the ways the primary places in our lives shape the individuals we become. It proposes that place is a complex and dynamic phenomenon. Place refers to geographical and constructed places—location, topography, landscape, and buildings. It also refers to the psychological, social, and cultural influences at work at a given location. These elements act in concert to constitute a place. Carlisle incorporates perspectives from writers like Edward S. Casey, Christian Norberg-Schulz, Yi-Fu Tuan, and Witold Rybczynski, but he applies theory with a light touch. Placing this literature in dialog with personal experience, he concentrates on two places that profoundly influenced him and enabled him to overcome a lifelong sense of always leaving his pasts behind. The first is Clover Hollow in Appalachian Virginia, where the author lived for ten years among fifth-, sixth-, and seventh-generation residents. The people and places there enabled him to value his own past and primary places in a new way. The story then turns to Carlisle’s life growing up in Delaware, Ohio. He describes in rich detail the ways the town shaped him in both enabling and disabling ways. In the end, after years of moving from place to place, Carlisle’s experience in Appalachia helped him rediscover his hometown—both the Old Delaware, where he grew up, and the New Delaware, a larger, thriving small city—as his true home. The themes of the book transcend specific localities and speak to the relationship of self and place everywhere. One of the field’s most innovative thinkers reconsiders the purpose and practice of architecture. At the dawn of the twenty-first century, architecture is in a state of crisis. Numbed by an ugly and shoddily constructed built environment and outraged by the cost of high-profile design projects, the public has become disinterested in and contemptuous of architecture as both a profession and an art. At the same time, some of our most creative designers have isolated themselves from the tastes and needs of mainstream society, reflecting a similar malaise found in design and architecture schools around the country. In this troubling climate, Thomas R. Fisher—who challenged architects as editorial director of Progressive Architecture, becoming recognized as one of the field’s most original thinkers—contends that the purpose and prospects of architectural practice must be reconsidered and reenergized. 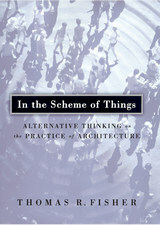 In the Scheme of Things looks at architecture’s need to respond creatively and meaningfully to the extraordinary changes affecting the profession now, changes that include the global economy, the advent of computer-aided design, and the growing disconnection between design schools, architectural practice, and the public. In each of the twelve essays that comprise this timely volume, Fisher addresses issues of vital concern to architects and students, offering hard-hitting criticism and proposing innovative and practical ideas for reform at the level of both the individual practitioner and the profession as a whole. Through his thoughtful and nuanced consideration of architecture’s ideological foundations and its relationship to ecology, politics, and technology, as well as his subtle understanding of the architect’s interior life, Fisher challenges the demoralized design community to recapture its historical role as steward and visionary of the public realm. Thomas R. Fisher is dean of the College of Architecture and Landscape Architecture at the University of Minnesota and coeditor of Architectural Research Quarterly. His essays have appeared in Design Quarterly, Architectural Record, and other leading journals. It was the era of the Raj, and yet A Joint Enterprise reveals the unexpected role of native communities in the transformation of the urban fabric of British Bombay from 1854 to 1918. 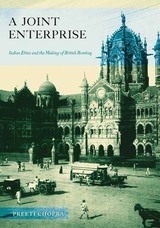 Preeti Chopra demonstrates how British Bombay was, surprisingly, a collaboration of the colonial government and the Indian and European mercantile and industrial elite who shaped the city to serve their combined interests. Chopra shows how the European and Indian engineers, architects, and artists worked with each other to design a city—its infrastructure, architecture, public sculpture—that was literally constructed by Indian laborers and craftsmen. Beyond the built environment, Indian philanthropists entered into partnerships with the colonial regime to found and finance institutions for the general public. Too often thought to be the product of the singular vision of a founding colonial regime, British Bombay is revealed by Chopra as an expression of native traditions meshing in complex ways with European ideas of urban planning and progress. The result, she argues, was the creation of a new shared landscape for Bombay’s citizens that ensured that neither the colonial government nor the native elite could entirely control the city’s future. In only a decade, Macau has exploded from a sleepy backwater to the world’s casino capital. It was bound to happen. Macau, a former Portuguese colony that became a special administrative region within the People’s Republic of China in 1999, was the only place in China where gambling was legal. With a consumer base of 1.3 billion mainland Chinese deprived of casino gambling, and the world’s largest growing consumer class, international corporations rushed in to enter the games. As a result, the casino influx has permanently transformed the Macau peninsula: its ocean reclaimed, hillside excavated, roads congested, air polluted, and glimmering hotel towers tossed into the skyline, dwarfing the 19th century church towers. Essays by a number of experts give a deeper insight on topics ranging from the myth of the Chinese gambler, the role of feng shui in casino design, the city’s struggle with heritage conservation, the politics of land reclamation, and the effect of the casino industry on the public realm. Drawings and photographs in vivid color visualize Macau’s patchwork of distinct urban enclaves: from downtown casinos, their neon-blasting storefronts eclipsing adjacent homes and schools, to the palatial complexes along a new highway, a Las Vegas-style strip. They also reveal how developers go to great lengths to impress the gambler with gimmicks such as fluorescent lighting, botanic gardens, feng shui dragon statues, cast members’ costumes, Chinese art imitations, and crystal chandelier-decked elevators. It is a book that helps readers grasp the complex process of the development of the casino industry and its overall impact on the social and architectural fabric of the first and last colonial enclave in China. In the first decades of the twentieth century, Marseille was a booming Mediterranean port. Positioned at the very edge of France, the city functioned as a critical fulcrum between the metropolitan center and its overseas empire. A notoriously dangerous and cosmopolitan city, Marseille became the focus of the extraordinary energies of some of the most remarkable architects and theorists of urban modernity. 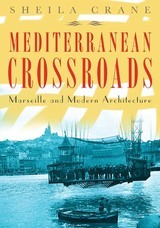 Drawing together a cast of both world-renowned and less familiar architects, photographers, and cultural theorists, including Le Corbusier, Sigfried Giedion, Walter Benjamin, and László Moholy-Nagy, Mediterranean Crossroads examines how mythic ideas about Marseille helped to shape its urban landscape. Tracing successive planning proposals in tandem with shifting representations of the city in photographs, film, guidebooks, and postcards, Sheila Crane reconstructs the history and politics of architecture in Marseille from the 1920s through the years of rebuilding after World War II. By exploring how architects and planners negotiated highly localized pressures, evolving imperial visions, and transnational aspirations at the borders of Europe and the Mediterranean region, Mediterranean Crossroads brings to life a lost chapter in the history of modern architecture. During the nineteenth century, the Keweenaw Peninsula of Northern Michigan was the site of America’s first mineral land rush as companies hastened to profit from the region’s vast copper deposits. In order to lure workers to such a remote location—and work long hours in dangerous conditions—companies offered not just competitive wages but also helped provide the very infrastructure of town life in the form of affordable housing, schools, health-care facilities, and churches. The first working-class history of domestic life in Copper Country company towns during the boom years of 1890 to 1918, Alison K. Hoagland’s Mine Towns investigates how the architecture of a company town revealed the paternal relationship that existed between company managers and workers—a relationship that both parties turned to their own advantage. The story of Joseph and Antonia Putrich, immigrants from Croatia, punctuates and illustrates the realities of life in a booming company town. While company managers provided housing as a way to develop and control a stable workforce, workers often rejected this domestic ideal and used homes as an economic resource, taking in boarders to help generate further income. Focusing on how the exchange between company managers and a largely immigrant workforce took the form of negotiation rather than a top-down system, Hoagland examines surviving buildings and uses Copper Country’s built environment to map this remarkable connection between a company and its workers at the height of Michigan’s largest land rush. Mexico City became one of the centers of architectural modernism in the Americas in the first half of the twentieth century. Invigorated by insights drawn from the first published histories of Mexican colonial architecture, which suggested that Mexico possessed a distinctive architecture and culture, beginning in the 1920s a new generation of architects created profoundly visual modern buildings intended to convey Mexico’s unique cultural character. By midcentury these architects and their students had rewritten the country’s architectural history and transformed the capital into a metropolis where new buildings that evoked pre-conquest, colonial, and International Style architecture coexisted. 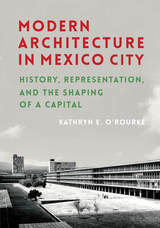 Through an exploration of schools, a university campus, a government ministry, a workers’ park, and houses for Diego Rivera and Luis Barragán, Kathryn O’Rourke offers a new interpretation of modern architecture in the Mexican capital, showing close links between design, evolving understandings of national architectural history, folk art, and social reform. This book demonstrates why creating a distinctively Mexican architecture captivated architects whose work was formally dissimilar, and how that concern became central to the profession. The utopian design and organization of Brasília—the modernist new capital of Brazil—were meant to transform Brazilian society. 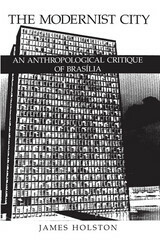 In this sophisticated, pioneering study of Brasília from its inception in 1957 to the present, James Holston analyzes this attempt to change society by building a new kind of city and the ways in which the paradoxes of constructing an imagined future subvert its utopian premises. Integrating anthropology with methods of analysis from architecture, urban studies, social history, and critical theory, Holston presents a critique of modernism based on a powerfully innovative ethnography of the city. Who was responsible for the crimes of the Nazis? Party leaders and members? Rank-and-file soldiers and bureaucrats? Ordinary Germans? This question looms over German disputes about the past like few others. It also looms over the art and architecture of postwar Germany in ways that have been surprisingly neglected. 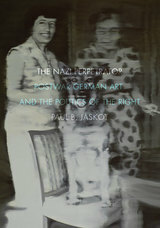 In The Nazi Perpetrator, Paul B. Jaskot fundamentally reevaluates pivotal developments in postwar German art and architecture against the backdrop of contentious contemporary debates over the Nazi past and the difficulty of determining who was or was not a Nazi perpetrator. Like their fellow Germans, postwar artists and architects grappled with the Nazi past and the problem of defining the Nazi perpetrator—a problem that was thoroughly entangled with contemporary conservative politics and the explosive issue of former Nazis living in postwar Germany. Beginning with the formative connection between Nazi politics and art during the 1930s, The Nazi Perpetrator traces the dilemma of identifying the perpetrator across the entire postwar period. Jaskot examines key works and episodes from West Germany and, after 1989, reunified Germany, showing how the changing perception of the perpetrator deeply impacted art and architecture, even in cases where artworks and buildings seem to have no obvious relation to the Nazi past. The book also reinterprets important periods in the careers of such major figures as Gerhard Richter, Anselm Kiefer, and Daniel Libeskind. Combining political history with a close analysis of specific works, The Nazi Perpetrator powerfully demonstrates that the ongoing influence of Nazi Germany after 1945 is much more central to understanding a wide range of modern German art and architecture than cultural historians have previously recognized. The Piazza San Marco, one of the most famous and instantly recognizable townscapes in the West, if not the world, has been described as a stage set, as Europe's drawing room, as a painter's canvas. This book traces the changing shape and function of the piazza, from its beginnings in the ninth century to its present day ubiquity in the Venetian, European, as well as global imagination. Reconstructing Architecture was first published in 1996. Minnesota Archive Editions uses digital technology to make long-unavailable books once again accessible, and are published unaltered from the original University of Minnesota Press editions. To create architecture is an inherently political act, yet its nature as a social practice is often obscured beneath layers of wealth and privilege. The contributors to this volume question architecture's complicity with the status quo, moving beyond critique to outline the part architects are playing in building radical social movements and challenging dominant forms of power. The making of architecture is instrumental in the construction of our identities, our differences, the world around us-much of what we know of institutions, the distribution of power, social relations, and cultural values is mediated by the built environment. Historically, architecture has constructed the environments that house the dominant culture. Yet, as the essays in Reconstructing Architecture demonstrate, there exists a strong tradition of critical practice in the field, one that attempts to alter existing social power relations. Engaging the gap between modernism and postmodernism, each chapter addresses an oppositional discourse that has developed within the field and then reconstructs it in terms of a new social project: feminism, social theory, environmentalism, cultural studies, race and ethnic studies, and critical theory. The activists and scholars writing here provide a clarion call to architects and other producers of culture, challenging them to renegotiate their political allegiances and to help reconstruct a viable democratic life in the face of inexorable forces driving economic growth, destroying global ecology, homogenizing culture, and privatizing the public realm. Reconstructing Architecture reformulates the role of architecture in society as well as its capacity to further a progressive social transformation. 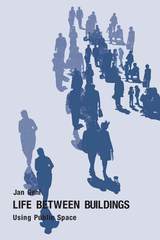 Contributors: Sherry Ahrentzen, U of Wisconsin, Milwaukee; Bradford C. Grant, California Polytechnic State U, San Luis Obispo; Richard Ingersoll, Rice U; Margaret Soltan, George Washington U; Anthony Ward, U of Auckland, New Zealand. Thomas A. Dutton is an architect and professor of architecture at Miami University, Ohio. He is editor of Voices in Architectural Education (1991) and is associate editor of the Journal of Architectural Education. Lian Hurst Mann is an architect and editor of Architecture California. A founding member of the Labor/Community Strategy Center in Los Angeles, she is editor of its bilingual quarterly Ahora Now and a coauthor of Reconstructing Los Angeles from the Bottom Up (1993). Robert de Cotte (1656/7-1735), Principal Architect to the King of France, was among the most prominent European architects of his day. In a period that witnessed the ascendancy of Paris over Rome as the international center of fashion, princes and nobles in Germany, Italy, and Spain eagerly commissioned him to design buildings in the French court style. Robert Neuman provides the first comprehensive examination of fifty or so building projects by de Cotte, which include such extant works as the Hôtel d'Estrées, Paris; Schloss Poppelsdorf, Bonn; and his universally acknowledged masterpiece, the Palais Rohan, Strasbourg. After describing de Cotte's training and the professional context in which he worked, Neuman offers a thorough survey of de Cotte's output. For each commission, he recreates the actual design process, showing how de Cotte manipulated an accepted vocabulary of architectural forms to meet the patron's specific requirements. 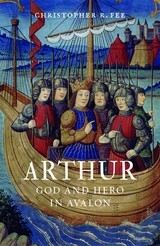 De Cotte's own drawings, many reproduced here for the first time, and quotations from a wide variety of contemporary writings vividly supplement the case histories. Beautifully illustrated, Neuman's much-needed book reveals de Cotte as an innovative and strikingly modern architect. The second part of the book views Levittown from the outside. Contributors consider the community’s place in planning and architectural history and the Levitts’ strategies for the mass production of housing. 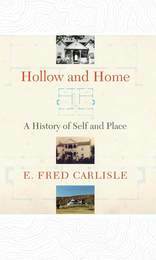 Other chapters address the class stratification of neighborhood sections through price structuring; individual attempts to personalize a home’s form and space as a representation of class and identity; the builders’ focus on the kitchen as the centerpiece of the home and its greatest selling point; the community’s environmental and ecological legacy; racist and exclusionary sales policies; resident activism during the gas riots of 1979; and “America’s lost Eden." Once the world’s tallest skyscraper, the Woolworth Building is noted for its striking but incongruous synthesis of Beaux-Arts architecture, fanciful Gothic ornamentation, and audacious steel-framed engineering. 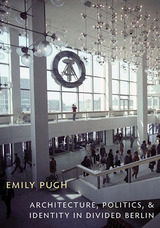 Here, in the first history of this great urban landmark, Gail Fenske argues that its design serves as a compelling lens through which to view the distinctive urban culture of Progressive-era New York. Fenske shows here that the building’s multiplicity of meanings reflected the cultural contradictions that defined New York City’s modernity. For Frank Woolworth—founder of the famous five-and-dime store chain—the building served as a towering trademark, for advocates of the City Beautiful movement it suggested a majestic hotel de ville, for technological enthusiasts it represented the boldest of experiments in vertical construction, and for tenants it provided an evocative setting for high-style consumption. Tourists, meanwhile, experienced a spectacular sightseeing destination and avant-garde artists discovered a twentieth-century future. In emphasizing this faceted significance, Fenske illuminates the process of conceiving, financing, and constructing skyscrapers as well as the mass phenomena of consumerism, marketing, news media, and urban spectatorship that surround them. 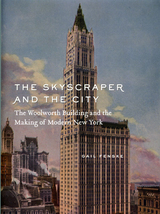 As the representative example of the skyscraper as a “cathedral of commerce,” the Woolworth Building remains a commanding presence in the skyline of lower Manhattan, and the generously illustrated Skyscraper and the City is a worthy testament to its importance in American culture. Over 277,000 African Americans migrated to Chicago between 1900 and 1940, an influx unsurpassed in any other northern city. From the start, carceral powers literally and figuratively created a prison-like environment to contain these African Americans within the so-called Black Belt on the city's South Side. A geographic study of race and gender, Spatializing Blackness casts light upon the ubiquitous--and ordinary--ways carceral power functions in places where African Americans live. Moving from the kitchenette to the prison cell, and mining forgotten facts from sources as diverse as maps and memoirs, Rashad Shabazz explores the myriad architectures of confinement, policing, surveillance, urban planning, and incarceration. In particular, he investigates how the ongoing carceral effort oriented and imbued black male bodies and gender performance from the Progressive Era to the present. The result is an essential interdisciplinary study that highlights the racialization of space, the role of containment in subordinating African Americans, the politics of mobility under conditions of alleged freedom, and the ways black men cope with--and resist--spacial containment. A timely response to the massive upswing in carceral forms within society, Spatializing Blackness examines how these mechanisms came to exist, why society aimed them against African Americans, and the consequences for black communities and black masculinity both historically and today. A recent surge of interest in Jewish patronage during the golden years of Vienna has led to the question, Would modernism in Vienna have developed in the same fashion had Jewish patrons not been involved? This book uniquely treats Jewish identification within Viennese modernism as a matter of Jews active fashioning of a new language to convey their aims of emancipation along with their claims of cultural authority. In this provocative reexamination of the roots of Viennese modernism, Elana Shapira analyzes the central role of Jewish businessmen, professionals, and writers in the evolution of the city’s architecture and design from the 1860s to the 1910s. According to Shapira, these patrons negotiated their relationship with their non-Jewish surroundings and clarified their position within Viennese society by inscribing Jewish elements into the buildings, interiors, furniture, and design objects that they financed, produced, and co-designed. 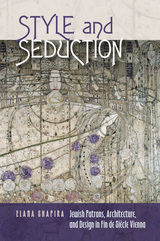 In the first book to investigate the cultural contributions of the banker Eduard Todesco, the steel tycoon Karl Wittgenstein, the textile industrialist Fritz Waerndorfer, the author Peter Altenberg, the tailor Leopold Goldman, and many others, Shapira reconsiders theories identifying the crisis of Jewish assimilation as a primary creative stimulus for the Jewish contribution to Viennese modernism. Instead, she argues that creative tensions between Jews and non-Jews—patrons and designers who cooperated and arranged well-choreographed social encounters with one another—offer more convincing explanations for the formation of a new semantics of modern Viennese architecture and design than do theories based on assimilation. This thoroughly researched and richly illustrated book will interest scholars and students of Jewish studies, Vienna and Viennese culture, and modernism.